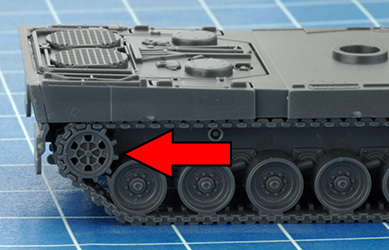 How to assemble your Dutch Leopard 2 tanks. 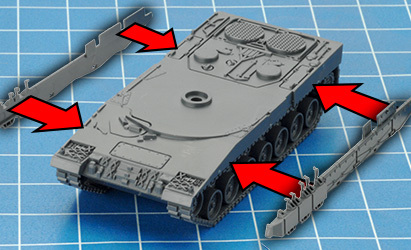 Step 3: Attach the tracks. 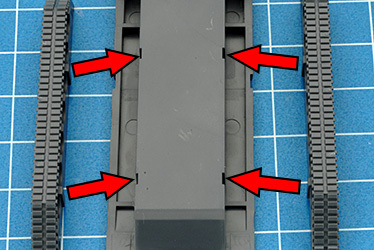 The hull sides have locator recesses which match the locator slides on the tracks, to ensure you get the tracks on the correct sides, but to be certain, make sure the drive sprockets are at the rear (below). 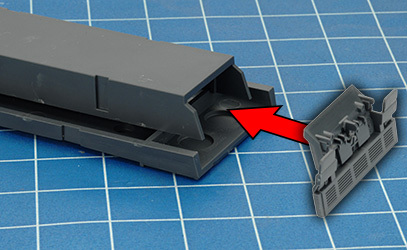 If you would prefer to paint the tracks separately and attach them later, that's fine – it's up to you. 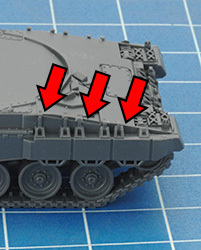 Step 4: Next attach the side skirts. 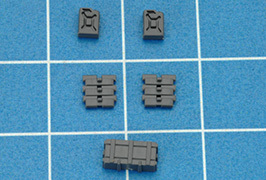 Each skirt has a rectangular grille which fits into a matching recess on the hull side. 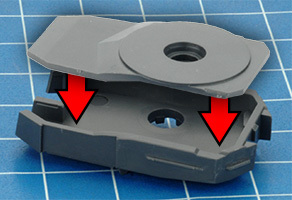 Also make sure that these brackets align neatly with the angle of the front glacis. Below: the completed hull. 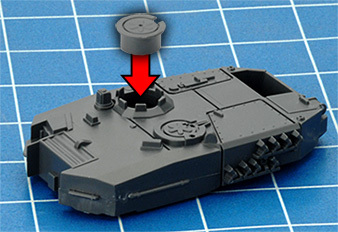 Step 5: Start assembling the turret by gluing the turret bottom to the turret top. 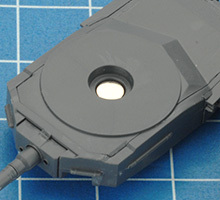 Step 6: Next attach the turret rear piece. 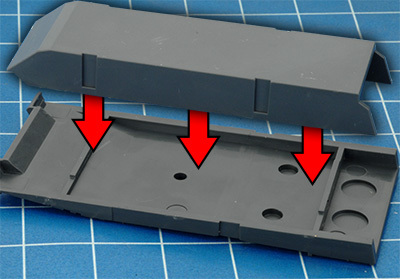 Note, the stowage box should be on the left-hand side. 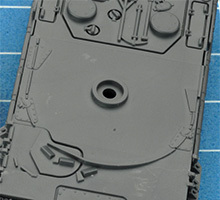 Step 7: Next attach the turret side plates with smoke launchers. 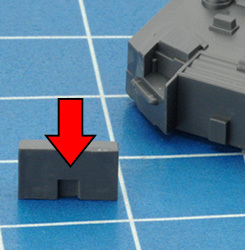 Note: each piece has a triangular section at the bottom front, which matches the shape of the turret side. 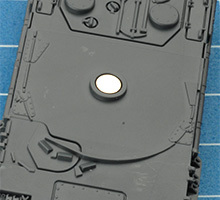 Step 8: Next glue the commander's cupola into its round hole, with the hinge positioned to the rear. 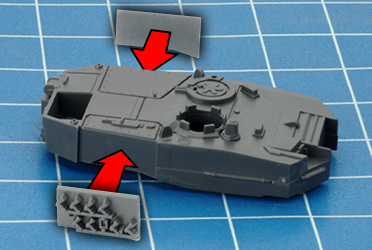 Step 9: If you want to include a commander figure (a good way to identify a command vehicle, or just to give your tank a unique look), use the open hatch version instead. 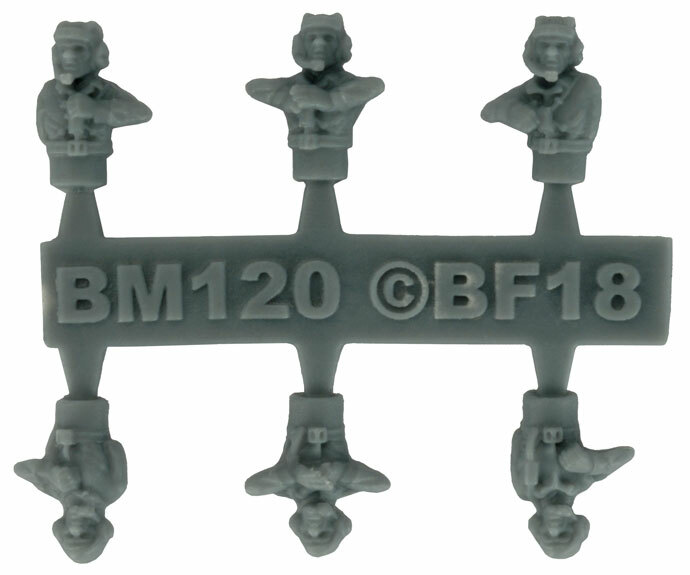 Many painters find it easier to paint command figures separately and then attach them at the end. 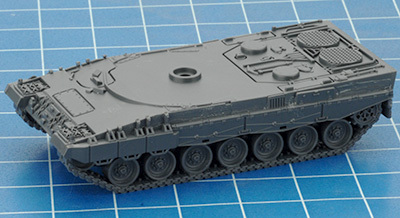 Step 10: Next attach the gun mantlet. 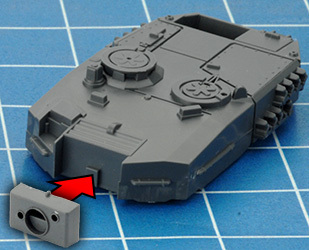 The back of the mantlet has a rectangular recess which matches the peg on the turret front. 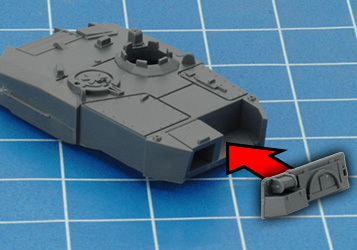 Step 11: Glue the 120mm gun into the mantlet. 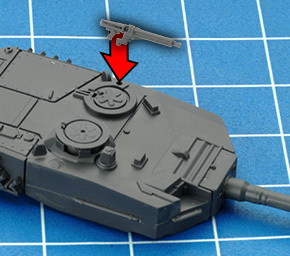 The gun has a semi-circular peg which matches the locator hole in the mantlet. 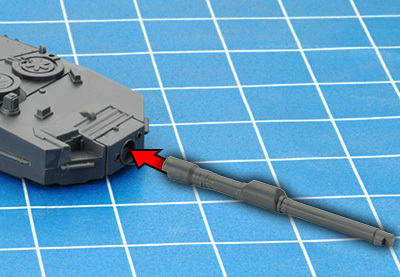 Step 12: Glue the AA machine-gun into the mounting hole on the left side of the loader's hatch. 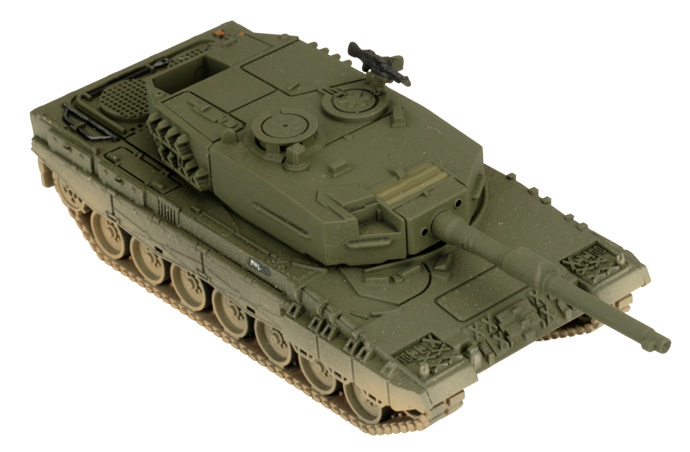 The Dutch Leopard 2 uses different MGs from the previously released German Leopard 2. 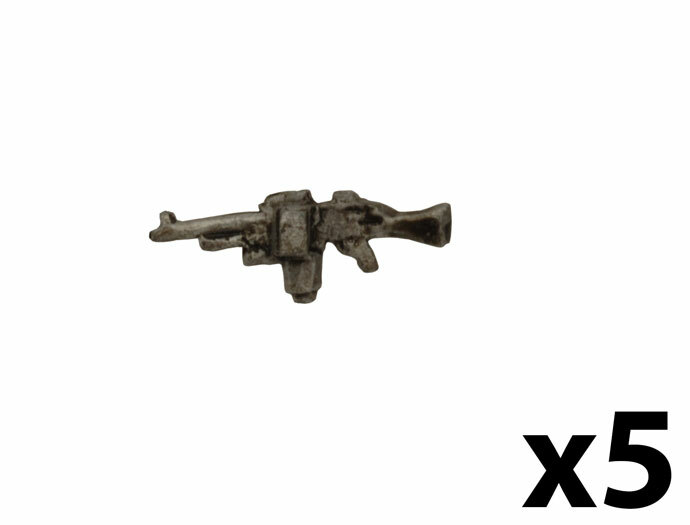 The MGs are mounted in the same way but look like so... 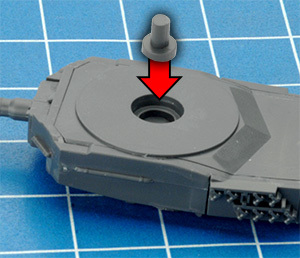 Step 13: Finally, glue the turret peg in place. 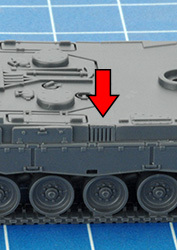 Several optional stowage items are included on the sprue: fuel cans, spare track links and an ammunition crate.